Hard to drag oneself indoors this time of year , especially on a busy weekend when prepping the garden for the absense of the gardener; Idyllunion 10 followed by Fling..I'll be coast to coast garden touring in a few days. 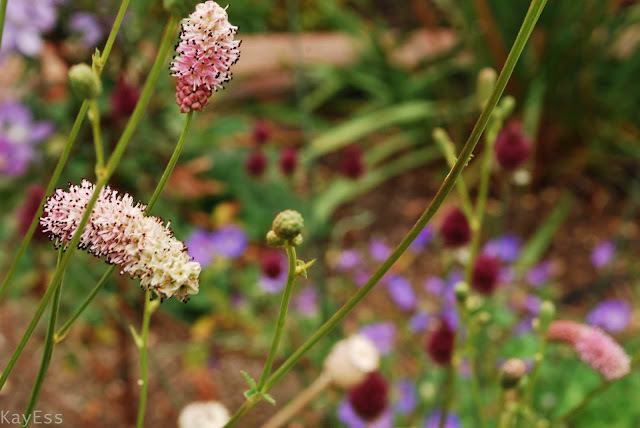 I am loving my cool pink Sanguisorba, an un-named seedlimg that I acquired last summer at Far Reaches Farm in Port Townsend Wa. I took a photo of this momentarily majestic Shasta Daisy, since I am expecting the annual flop fiesta to commence any day now. An tagless ornamental Oregano, just opening. Caryopteris 'Summer Sorbet' . Love this plant and wish it was a bit more vigorous in my garden. I 'm extremely partial to this swamp Verbena , Verbena hastata, another Washington state nursery find. Lilies are budded up and starting to open . 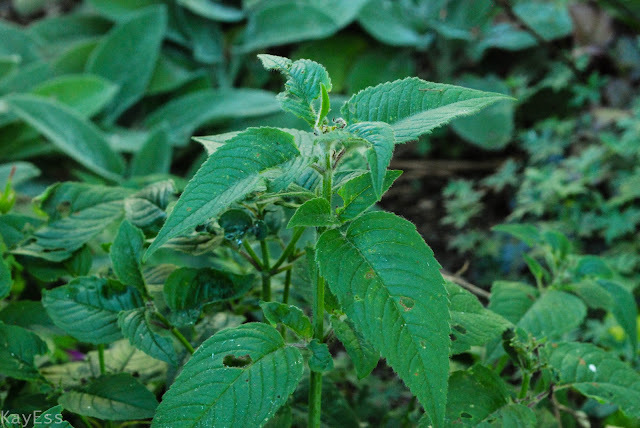 This is , I believe, my 3rd try with Monarda , and it does not look promising. What can the matter be ? I plant it, I give it 2 or three years, and it never ever blooms. Never ever. This was not a mail order selection from afar, but purchased at a local garden center, every one of which carries Monarda, locally grown in Northern California. This plant was installed in 2011. It has spread a bit, and has been modestly popular with the snails-thus a few chew holes here and there. I see no sign whatsoever that it will produce flowers. This has been my experience with all I have tried-all planted in different spots, all languish, all are eventually shovel pruned. And I can say with conviction, I have never seen it growing anywhere in my town. Is this a red flag ? Apparently. I give up. Monarda, you win. This past weekend I attended the Garden Conservancy Open Day in Marin County. 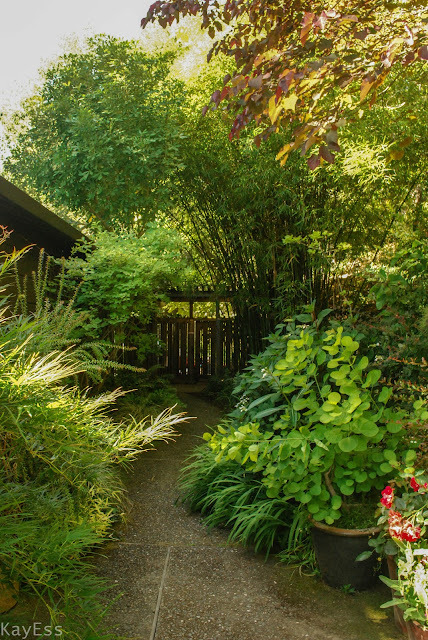 It seems as though Marin Open Days always takes place during a heat wave, and after last year I swore I was through with it-too hot, too many unmemorable gardens, horrible photo conditions. In the future, when scheduling weekend travel plans, I will wait for Marin Open Day dates to be announced ,assume there will be a heat wave, and plan a trip to the coast.